Adna redirects here. For the unincorporated community in Washington, see Adna. Cross-linked DNA extracted from the 4,000 year-old liver of an Ancient Egyptian priest Called Nekht-Ankh. Ancient DNA can be loosely described as any DNA recovered from biological samples that have not been preserved specifically for later DNA analyses. Examples include the analysis of DNA recovered from archaeological and historical skeletal material, mummified tissues, archival collections of non-frozen medical specimens, preserved plant remains, ice and permafrost cores, and so on. Unlike modern genetic analyses, ancient DNA studies are characterised by low quality DNA. This places limits on what analyses can achieve. Furthermore, due to degradation of the DNA molecules, a process which correlates loosely with factors such as time, temperature and presence of free water, upper limits exist beyond which no DNA is deemed likely to survive. Current estimates suggest that in optimal environments, i.e environments which are very cold, such as permafrost or ice, an upper limit of max 1 Million years exists. As such, early studies that reported recovery of much older DNA, for example, from Cretaceous dinosaur remains, have been proven to be wrong, with results stemming from sample or extract contamination, as opposed to authentic extracted DNA. Arguably the first aDNA study was in 1984, with a publication by Russ Higuchi and colleagues at Berkeley that was to revolutionise the scope of molecular biology, traces of DNA from a museum specimen of the Quagga, not only remained in the specimen over 150 years after the death of the individual, but could be extracted and sequenced (Higuchi et al. 1984). Over the next two years, through investigations into natural and artificially mummified specimens, Svante Pääbo both confirmed that this phenomenon was not limited to relatively recent museum specimens, but could apparently be replicated in a range of mummified human samples that dated as far back as several thousand years (Pääbo 1985a; Pääbo 1985b; Pääbo1986). Nevertheless, the laborious processes that were required at that time to sequence such DNA (through bacterial cloning) were an effective brake on the development of the field of ancient DNA (aDNA). However, with the development of the Polymerase Chain Reaction (PCR) (Mullis and Faloona 1987; Saiki et al. 1988) in the late 1980s the field was presented with the ability to rapidly progress. The post-PCR era heralded a wave of publications as numerous research groups tried their hands at aDNA. Soon a series of incredible findings had been published, claiming authentic DNA could be extracted from specimens that were millions of years old, into the realms of what Lindahl (1993b) has labelled Antediluvian DNA. The majority of such claims were based on the retrieval of DNA from organisms preserved in amber. Insects such as stingless bees (Cano et al. 1992a; Cano et al. 1992b), termites (De Salle et al. 1992; De Salle et al. 1993) and wood gnats (De Salle and Grimaldi 1994), as well as plant (Poinar et al. 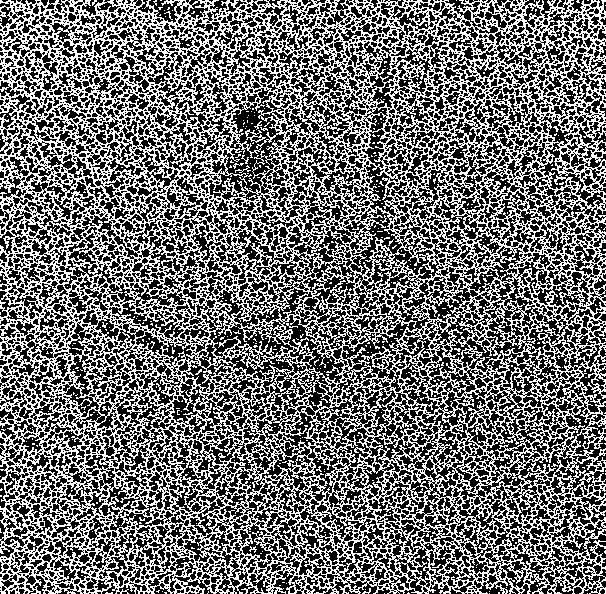 1993) and bacterial (Cano et al. 1994) sequences were extracted from Dominican amber dating to the Oligocene epoch. Older still sources of Lebanese amber-encased weevils, dating to within the Cretaceous epoch, reportedly also yielded authentic DNA (Cano et al. 1993). DNA retrieval was also not limited to amber. Several sediment-preserved plant remains dating to the Miocene were successfully investigated (Golenberg et al. 1990; Golenberg 1991). Then, in 1994 and to international acclaim, Woodward et al. reported the most exciting results to date -mitochondrial cytochrome b sequences that had apparently been extracted from dinosaur bones dating to over 80 million years ago. When in 1995 two further studies reported dinosaur DNA sequences extracted from a Cretaceous egg (An et al. 1995; Li et al. 1995) it seemed that the field would truly revolutionise knowledge of the Earth’s evolutionary past. Unfortunately the golden days of aDNA did not last. A critical review of ancient DNA literature through the development of the field highlights that, with two notorious and criticised exceptions that claim the retrieval of 250 million years old halobacterial sequences from Halite (Vreeland et al. 2000; Fish et al. 2002), few recent studies have succeeded in amplifying DNA from remains older than several hundred thousand years (ky) (c.f. Willerslev et al. 2003). Despite the problems associated with ‘antediluvian’ DNA, a wide, and ever-increasing range of aDNA sequences have now been published from a range of animal and plant taxa. Tissues examined include artificially or naturally mummified animal remains (c.f. Higuchi et al. 1984; Thomas et al. 1989), bone (c.f. Hagelberg et al. 1989; Cooper et al. 1992; Hänni et al. 1994b; Hagelberg et al. 1994), paleofaeces (Poinar et al. 1998; Hofreiter et al. 2000), alcohol preserved specimens (Junqueira et al. 2002), rodent middens (Küch et al. 2002), dried plant remains (Goloubinoff et al. 1993; Dumolin-Lapegue et al. 1999) and recently, extractions of animal and plant DNA directly from soil samples (Willerslev et al. 2003). Due to the considerable anthropological, archaeological, and public interest directed towards human remains, it is only natural that they have received a similar amount of attention from the aDNA community. Due to their obvious signs of morphological preservation, many studies utilised mummified tissue as a source of ancient human DNA. Examples include both naturally preserved specimens, for example those preserved in ice, such as the Ötzi the Iceman (Handt et al. 1994), or through rapid desiccation, for example high-altitude mummies from the Andes (c.f. Pääbo 1986; Montiel et al. 2001)), as well as various sources of artificially preserved tissue (such as the chemically treated mummies of ancient Egypt (c.f. Hänni et al. 1994a)). However, mummified remains are a limited resource, thus the majority of human aDNA studies have focused on extracting DNA from two tissues that are much more common in the archaeological record – bone and teeth. Recently, several other sources have also yielded DNA, including paleofaeces (Poinar et al. 2001) and hair (Baker et al. 2001, Gilbert et al. 2004). Contamination remains a major problem when working on ancient human material. Svante Pääbo; David Glenn Smith; Ripan Malhi; Jason A. Eshleman; K Ann Horsburgh; Brian M. Kemp; Deborah Bolnick, Beth Shook, Frederika Kaestle, Cara Monroe, Graciela Cabana, Cecil Lewis, Hendrik Poinar, Anne Stone, Connie Mulligan, Dongya Yang, M. Thomas P. Gilbert, Lisa Matisoo-Smith; Meradeth Snow, Diana M. Lawrence, Susanne Hummel, Joachim Burger, E.L. Rodriguez Florez, Beth Shapiro, Ian Barnes, Lori Baker, David Caramelli, Carles Lalueza Fox. Baker LE. 2001. Mitochondrial DNA haplotype and sequence analysis of historic Choctaw and Menominee hair shaft samples. PhD Thesis. University of Tennessee, Knoxville. British teacher finds long-lost relative: 9,000-year-old man - mtDNA analysis. Evidence of the Past: A Map and Status of Ancient Remains - samples from USA no sequence data here. This page uses content from the English language Wikipedia. The original content was at Ancient DNA. The list of authors can be seen in the page history. As with this Familypedia wiki, the content of Wikipedia is available under the Creative Commons License.